Can Candida Cause Hair Loss & Constipation? - YeastInfection.Org by Eric Bakker N.D.
You are here: Home / Other Issues / Can Candida Cause Hair Loss & Constipation? Abby is a mother of three, divorced from her husband, and living on her own. For the last year, she has noticed a growing problem with constipation and hard bowel movements, and has seen her hair thin out at a rapid pace over the last six months. She has tried supplements for stress reduction, magnesium and herbs for constipation, and formulas for hair which have done nothing for her. She has tried vegetarianism to help her constipation, and it has worked a little, however she still struggles. Abby is tight on money and not able to visit her doctor as much as she’d like, but preliminary tests show that she is in good health for her age. She wants to know if the cause for her health issues could be candida or another underlying concern so that she can start to heal and know exactly what to ask about the next time she does see her doctor. Hair works in three or four cycles, depending on the source of information. The three cycle definition includes the anagen phase: when the hair grows, catagen phase: when the skin detaches blood flow to the strand which shrinks the follicle, and telogen phase: when hair sheds and the follicle lays in a dormant, or restful, state. The four cycle definition includes the exogen phase: the shedding phase of the hair when the strand detaches. In the four cycle definition, the telogen phase is strictly the dormant phase. Not all hair grows at once, and each follicle has its own cycle. Thinning hair is natural as people age, and genetics play a major role. However, hormones, physical or emotional stress, health problems, and other factors can send signals to the brain to induce more exogen and telogen phases where strands shed and no new hair grows. Losing hair can happen fast, or may be subtle for several months as growth cycles are a gradual process. Supplements can take 1-4 months to work depending on the individual, but can only have a small effect if underlying health problems are present. Constipation occurs when there is an imbalanced diet, dehydration in the body, physical or emotional stress, and other underlying health conditions such as candida. Bowel movements become backed up, and this waste becomes prone to entering the blood stream and causing further health problems. One symptom of constipation is hair loss, as constipation is a stress on the body regardless of whether or not the individual is stressed in life. Anxiety, sleep deprivation, and stress are important factors that affect a healthy digestive system and hair. Stress stiffens the body and creates more work on the digestive tract. A lack of sleep deprives the body from a healthy circadian cycle, thus creating internal stress as the body has to work on overdrive. 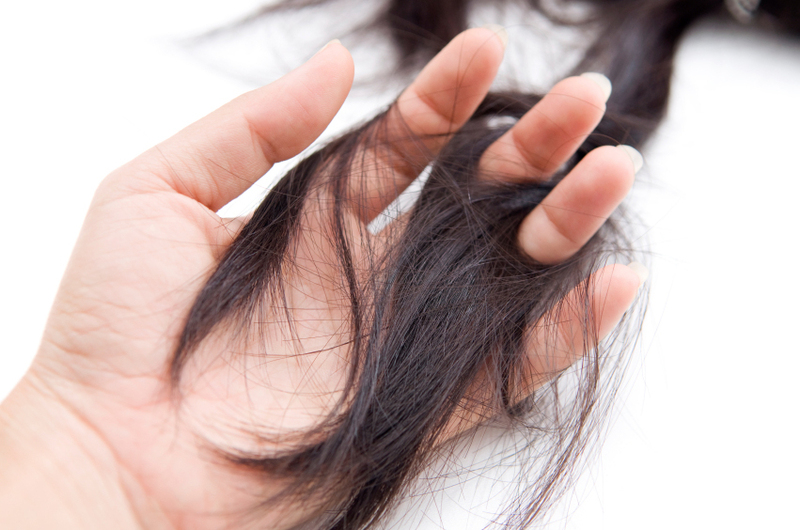 Having physical stress such as an injury, childbirth, or severe flu or cold can trigger hair to shed faster. The effects of physical damage or poor health are often noticed with hair, though the hair loss is usually delayed and will fix itself within a couple of months of the body healing. A candida infection can cause both hair loss and constipation. Taking a quiz to determine how likely an infection is can help determine what steps may be taken depending on severity. Other health conditions may cause hair loss and constipation in addition to candida. Autoimmune diseases such as alopecia aereata, when the immune system attacks hair follicles, can cause stress on the body and cause constipation as well. Missing hair from alopecia aereata typically grows back within half a year, however if there is an underlying health problem, hair loss may continue. Psoriasis, an inflamed and flaking area of skin, may also occur on the head and cause hair loss. Psoriasis is another autoimmune disease, and can be triggered by dry skin, constipation, stress, and other factors. Autoimmune diseases are associated with leaky gut, a condition where holes in the intestines allow particles to enter the bloodstream. The immune system treats these particles as a threat, and may start attacking parts of the body in the process. Constipation may contribute to leaky gut, since backup from waste can escape through intestinal gaps. Hypothyroidism occurs when the thyroid is underactive and does not produce enough of the hormone. This can cause slow the body down, reduce immune support, hinder supplement absorption, and cause weight gain in addition to constipation and hair loss. Taking too much iron, or a form of iron that the body doesn’t break down and absorb well, will cause constipation. Both excessive iron and an iron deficiency contribute to hair loss. If taking iron supplements, check with your doctor or naturopath to ensure that they are needed. Iron formulas with Vitamin B-12 and Vitamin C help absorb iron and prevent constipation. Also check to magnesium levels, as a deficiency is another source of constipation. Too much fiber contributes to hair loss and, though counterintuitive, constipation. Fiber absorbs water, and if the body isn’t hydrated enough to support the amount of fiber, stools can harden and become difficult to excrete. Excessive amounts of fiber can slow down the digestive tract and inhibit protein absorption. A lack of protein causes hair loss, as the brain prompts follicles to go into the telogen phase as a defense for malnutrition. To promote healthy digestion, probiotics are important to reduce bad bacteria. A strong formula like Canxida Restore contains a blend of strains to work on whole body health. Since hair loss can be from an abundance or deficiency of vitamins and minerals in the body, knowing which supplements to take may be difficult. A well-balanced supplement to target digestive health is important. 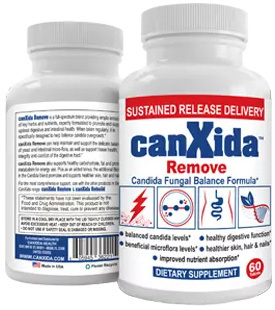 Canxida Rebuild is a multivitamin with a moderate amount of iron, Vitamin A, and other nutrients to ensure that the body does not develop an excess of these nutrients. Extra Vitamin C and B-12 in this formula target digestive help, nutrient absorption, and other key factors that can support healthy digestion, stress, and hair. While the causes for constipation and hair loss can be frustrating with a variety of health considerations, developing a healthy lifestyle with diet, supplements, good sleep patterns and maintaining stress can reduce the symptoms while the underlying causes are evaluated. What cause dry hair skin? Lack of plant fatty acids.